1: Building Innovation 2013 is delivered by the National Institute of Building Sciences – an authoritative source of innovative solutions for the built environment. For nearly 40 years, the Institute, a non-profit, non-government organization, has served as an interface between government and the private sector, with the primary purpose of bringing together representatives of the entire building community to review advancements in science and technology and develop solutions for our built environment. 2: Building Innovation 2013 is focused on Improving Resiliency through High Performance and will present the latest advancements in a wide-range of building industry areas that offer genuine solutions for improving security, disaster preparedness, performance, sustainability, information resources and technologies for our nation’s buildings and infrastructure. Within four tracks, Conference attendees will experience the Institute in action as a leader and advocate for the industry and discover how the Institute’s programs and activities work to develop innovative solutions for a number of building-related challenges. 3: Building Innovation 2013 is the only place you’ll find the authentic event on federal construction: FEDCon® — The Annual Market Outlook on Federal Construction — where attendees will hear the most authoritative, up-to-date information on federal agency building and infrastructure budgets, construction forecasts and regulatory updates. The Institute initiated FEDCon®, now in its 20th year, to give private-sector architects, engineers, general and specialty contractors, and manufacturers insight into what they need to know to deliver services and products to the U.S. Federal Government — the world’s largest facility owner and procurer of design and construction services. 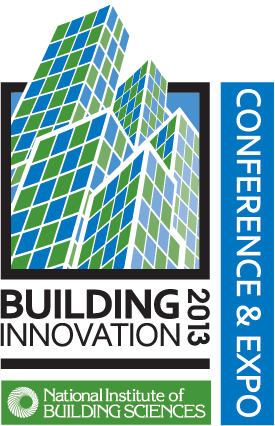 4: Building Innovation 2013 is where the popular and informative buildingSMART alliance Conference is on the schedule. It’s the only place where the very experts who make the critical decisions on building information modeling (BIM) standards come together to share their knowledge on the various aspects of implementing BIM. This Conference, focused on Integrating BIM: Moving the Industry Forward, will deliver an understanding of how BIM can better integrate the design, construction, fabrication and operation processes, and also provide you with the latest metrics available to assess industry progress. 5: Building Innovation 2013 is the only Conference that gives you Innovative Technology Demonstrations directly from the developers who initiated the cutting-edge tools. Don’t settle for second-hand information on the Construction Operations Building information exchange (COBie) Calculator and Specifiers Properties information exchange (SPie) Catalog. Find out first-hand all about these IE standards, as well as the new information exchanges for Building Programming (BPie), HVAC (HVACie), Electrical Systems (SPARKie), Building Automation Modeling (BAMie) and Water Systems (WSie). Attend these demonstrations, along with the buildingSMART Challenge at Building Innovation 2013, and gain insights straight from the source. 6: Building Innovation 2013 is home to the popular Building Enclosure Technology and Environment Council (BETEC) Symposium, where the field’s leading experts in building enclosure research, design and practice unite to tackle the latest issues. For 30 years, BETEC has delivered quality symposia and continues its commitment with this Symposium titled, Fenestration: A World of Change, which will examine the most current data available on fenestration performance and technology. 7: Building Innovation 2013 kicks off the inaugural Multihazard Mitigation Council (MMC) Symposium, designed to guide hazard mitigation policies for the next decade. At this Symposium, focused on Large-Scale Mitigation Planning and Strategies, industry experts will participate in interactive sessions to tackle long-standing multihazard mitigation problems in the United States and then present their conclusions to a panel of high-level policy makers, with the goal of setting long-term solutions. 8: Building Innovation 2013 highlights the revolutionary tools developed through the Institute’s collaboration with the U.S. Department of Homeland Security (DHS) Science and Technology Directorate (S&T) Infrastructure Protection and Disaster Management Division (IDD) for use in evaluating buildings against the threat of multiple hazards. The Integrated Resilient Design Symposium: Evaluating Risk, Improving Performance, introduces attendees to these invaluable tools and demonstrates how they are being used to assess potential risks to buildings from blast, chemical, biological and radiological (CBR) threats, and natural hazards, while incorporating high-performance attributes into building design. 9: Building Innovation 2013 offers the only Symposium specifically addressing the needs of persons with low vision. The Low Vision Design Committee Symposium: Creating Supportive Environments for Persons with Low Vision, presents the latest state-of-the art theory and practices for designing for people with low vision from the designers, users, clients and low vision medical specialists that focus on this growing segment of the population – which is expected to be more than 50 million people by the year 2020. Find out how designing for persons with low vision can create environments that are more universally user-friendly for everyone. 10: Building Innovation 2013 provides the chance to explore what social, economic and environmental sustainability means to various segments of the building industry and how an effective, holistic approach can move the industry Beyond Green™. The Sustainable Buildings Industry Council Symposium: Fostering Innovation to Go Beyond Green™, is the only event where you’ll meet the winners of the 2012 Beyond Green™ High-Performance Building Award and see their real-world examples of sustainability first-hand. 11: Building Innovation 2013 is the place where academic professionals will gather to work on establishing a common educational strategy for BIM education. During the BIM Academic Education Symposium: Setting the Course for a BIM Educational Strategy, representatives from more than 25 colleges and universities will focus on certification, accreditation and credentialing. Coordinated by the buildingSMART alliance for the 4th year, this event will be held in collaboration with the AGC BIM Forum. 12: Building Innovation 2013 allows you the opportunity to meet the industry’s leaders as they are recognized for making exceptional contributions to the nation and the building community. The Institute’s Reception and Annual Awards Banquet will highlight the State of the Institute and honor individuals and organizations that are moving the industry forward. 13: Building Innovation 2013 gives you a full week to make quality one-on-one connections with industry experts and innovators; collaborate with colleagues; learn from the best; and share your expertise and experiences. From the varied Symposia and Educational Sessions to the Exhibitor Reception and Keynote Lunches, there are many excellent reasons to attend. 14. Visit 4Clicks and see CEASAL, the ONLY CLOUD-BASED, Collaborative COST ESTIMATING and EFFICIENT PROJECT DELIVERY system with 400,000+ detailed RSMeans Line Items, ability to leverage your custom cost data, and incorporate IPD – Integrated Project Delivery, JOC – Job Order Contracting, IDIQ, SATOC, MATOC, POCA, BOA and more! (multiple Patents Pending). Exhibit Space #5.
http://www.4Clicks.com – Premier cost estimating and efficient project delivery software. While accurate, timely, and transparent cost estimating is critical to the success of any renovation, repair, sustainability, or new construction project, most construction cost estimators (over 55%) continue to rely primarily upon manual methods, hard copy documents, or electronic spreadsheets such as Microsoft Excel. Lack of robust business processes, management practices, proper education and training, and some degree of technophobia endemic to our AECOO industry (Architecture, Engineering, Construction, Operations, Owner) may well be responsible for this “state of the nation”. Negative impacts of ‘ad hoc’ methods and the failure to adopt robust construction delivery methods and associated supporting software include: loss of business revenue and lower profit margins, poor productivity, spreadsheet and formula errors, lost information, and poor business decisions. Sophisticated, Cost estimating and Efficient Project Delivery Software systems are now available, and have been proven over the past decade. Growing numbers of cost estimators now have the need to work with multiple projects, multiple estimates, and multiple contracts (IDIQ, JOC, SABER…) simultaneously and securely. These newer Cost estimating and Efficient Project Delivery Software systems, such as 4Clicks Project Estimator, provide these benefits, and more. 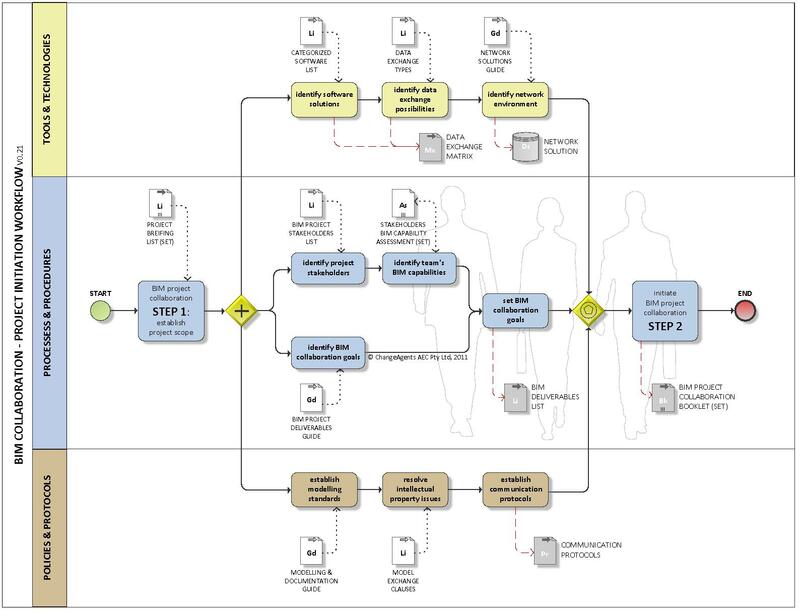 A ‘short list’ of additional capabilities includes the ability to work with multiple cost books/guides/UPBs, track project status, automatically compare estimates, easily copy/paste, clone, and reuse estimates, integrated sophisticated visual estimating and quantity take-off (QTO) tools, including pattern search, automatically link specifications to estimates …. Owners, Contractors, and AEs are moving to advanced cost estimating and management systems, and many oversight groups such are beginning to require their use. The level of collaboration, transparency, and information re-use enabled by Cost Estimating and Efficient Project Delivery Software drives 15-25%+ reductions in procurement cycles, six to ten times faster estimating, reduce overall project times, as a significant reduction in change orders and the virtual elimination of contract related legal disputes. Accurate, timely, and transparent cost estimating is critical to the success of any renovation, repair, sustainability, or new construction project. While most construction cost estimators continue to rely primarily upon hardcopy documents and electronic spreadsheets such as Microsoft Excel, many are beginning to leverage electronic cost books and associated “calculator” software tools. Both of these approaches have merit and are well suited for certain types of users. Growing numbers of cost estimators, however, have the need to work with multiple projects and multiple estimates simultaneously, securely share information on active projects, localized cost information, as well as easily locate and reuse historical data. These Owners, Contractors, and AEs are moving to advanced cost estimating and management systems. They are discovering that significantly higher productivity can be gained (50%+). 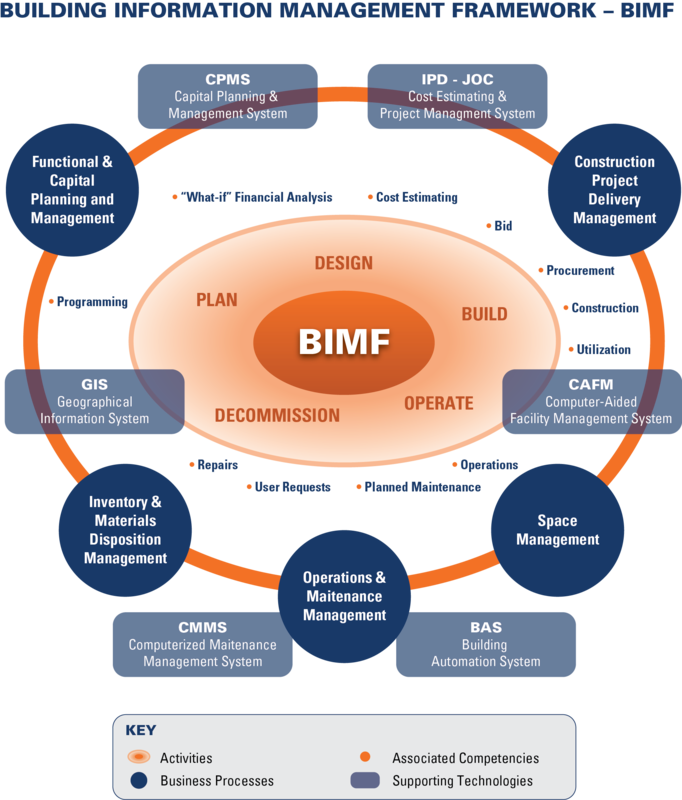 Furthermore, the collaborative aspects of these advanced cost estimating and project management software systems are aligned with integrated project delivery methods and construction sector movement toward Building Information Modelling (BIM). 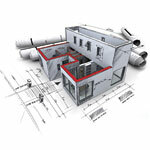 This paper addresses each of these primary approaches to construction cost estimating and discusses their application. For clarity, products are referenced within each category as follows: (1) Spreadsheets – Microsoft Excel, (2) Electronic Cost Books/Calculator – RSMeans CostWorks, and (3) Cost Estimating and Project Management Software – e4Clicks Project Estimator. Over the past forty plus years, there have been many initiatives to improve cost estimating to facilitate the delivery of construction projects on time and on budget. Owners, contractors, and AEs now have multiple methods to select from based upon their needs. Spreadsheets were a major improvement in the 1980s, followed by formal processes for collecting and harnessing historical information to more accurately project and control costs. Over the past decade, a powerful new capability has been added, collaborative cost estimating and project management software. The evolution of transparent and collaborative cost estimating and project management software mitigates the time wasting, unproductive aspects of creating estimates one at a time from scratch. Additional benefits include the reduction of data input and formulae errors, as well as costly ‘errors of omission’, common with ‘ad hoc’ spreadsheet-centric approaches. The application of cloud computing to cost estimating and project delivery and management software and the subsequent integration with Building Information Modelling. The ability to produce accurate cost estimates and control costs throughout a buildings life-cycle will be greatly enhanced. Another breed of cost estimating and project management software, Adaptive Project Delivery (APD) will also evolve. But all this is for another story. 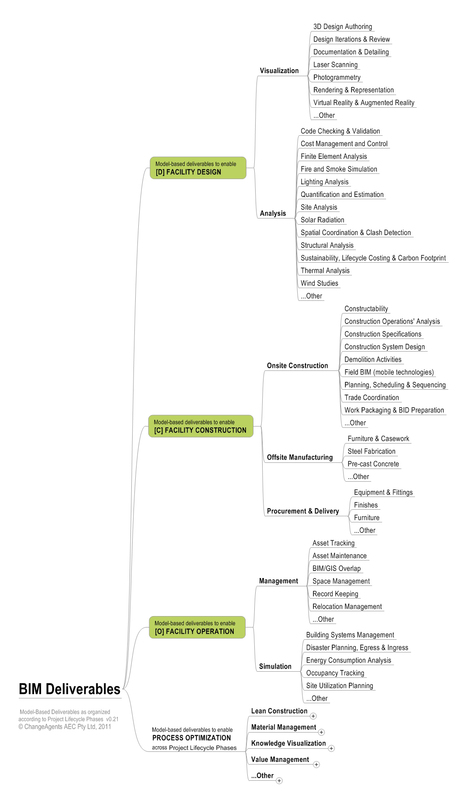 Who is the recognized “expert” for BIM? For example, if you want to learn about LEED you go to the USGBC. If you want to learn more about BIM where should you go? The question, ” Who is the recognized “experts” in BIM? If you want to learn about LEED you go to the USGBC. 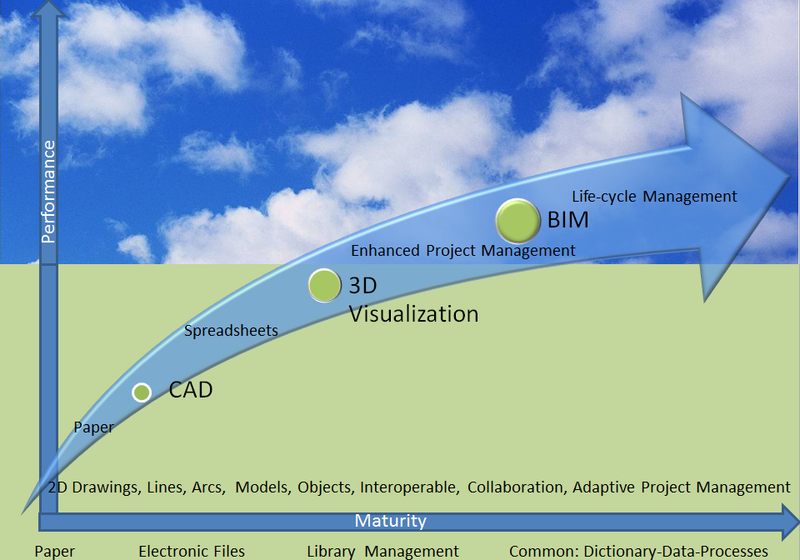 If you want to learn more about BIM where should you go? ” was recently posted on Linked-In. While there is no single point source, my best answer, is NIBS/bSa – buildingSMARTalliance. NIBS/bSa has taken a clear lead in compiling information relative to life-cycle building management…. aka big BIM. Since life-cycle building management requires several domains of expertise, other organizations/initiatives are also important. 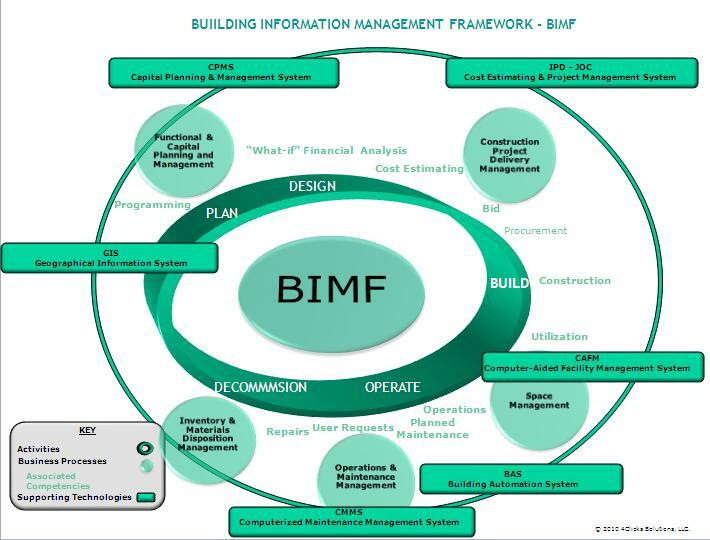 For example, APPA, NASFA, FFC, and IFMA for facility management aspects, the real “heart” of BIM. IFMA is partnering with NIBS to get a “big BIM” effort going. H APPA, NASFA, and FFC are the places to go relative to “big BIM” core informational components, strategic business processes, cutting-edge initiatives, etc., while IFMA tends to take a more “broad brush” approach to things. Cloud technology and efficient cost estimating and project delivery methods (IPD, JOC) are also critical to BIM. Here take a look at innovative smaller companies including ONUMA and yours truly, 4Clicks, for renovation, repair, sustainability… aka FM. GIS, BAS are also important components. Also look at COBIE, OMNICLASS, IFC, and IFD/Data dictionary…. all also important relative to “big BIM”. via www.4Clicks.com – premier cost estimating and project managment software for efficient project delivery – JOC, SABER, IPD, SATOC, MATOC, MACC, POCA, BOA.